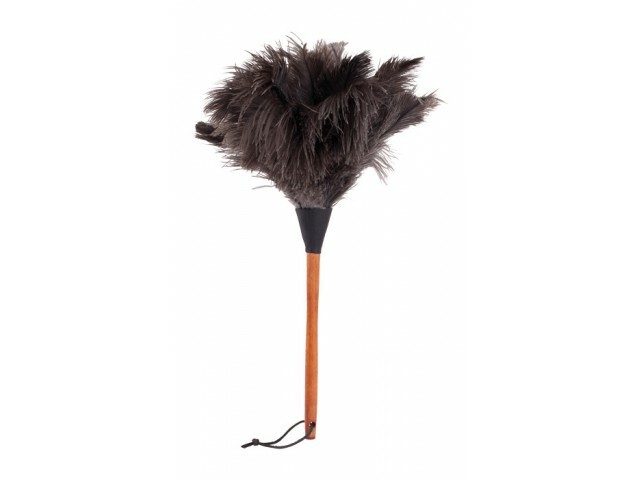 Fantastic old-fashioned dusters made from real ostrich feathers. Wooden handle with a leather thong at the end with a black collar. Very effective as the natural oils attract dust! Measures; Overall length 500mm, including handle.